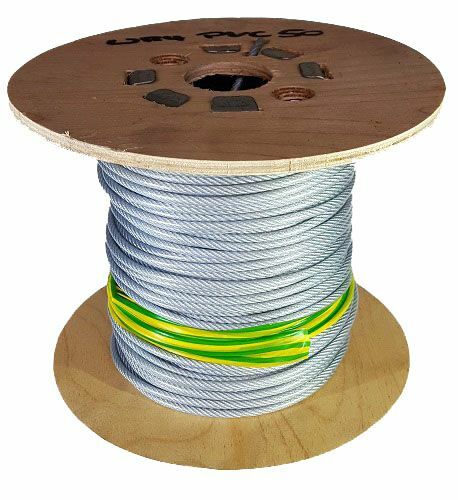 PVC coated 7x7 steel wire rope is semi flexible and widely suited to a range of commercial applications. Available in Clear, Red, Black, Yellow and Green. Sold in 50m lengths on sturdy wooden reels.